The City Council of Peoria adopted the Hospitality Improvement Zone (HIZ) Tax Increment Financing District (TIF) on October 28, 2008. The City Council adopted the Business Development District (BDD) on November 11, 2008. Both of these districts will last for 23 years. The map above shows the BDD. 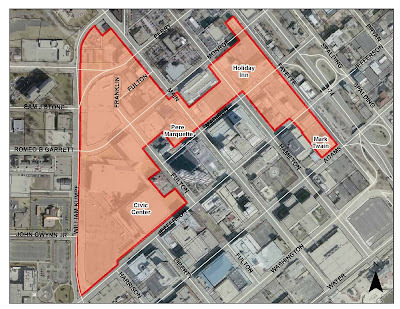 The TIF is slightly smaller, omitting the Civic Center property south of Monroe. The City of Peoria is making a concerted effort to assist downtown hotels and other businesses to improve. The City has a great downtown and Civic Center, but more and improved hotel rooms are needed to support larger conferences and conventions. The City has created a Tax Increment Financing (TIF) District and a Business Development District (BDD). The TIF will capture new property taxes generated by improvements to the hotels, and put some of the increased property taxes back to the hotels to help pay for the improvements. The BDD permits an up to 1% Sales and an up to 1% Hotel tax to be established. The City would refund these tax revenues back to the hotels to help fund their improvements. The City encourages all hotels to plan for improved facilities. A great first impression of the City is vital in securing new investment. 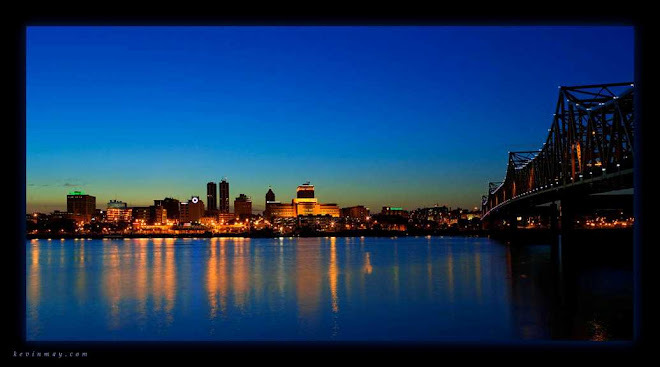 Our downtown is beautiful, overlooking the Illinois River and wooded bluffs. Improved hotels, restaurants, and retail will help improve our image, and increase the number of people visiting our community.